The debate over eating animals has become as toxic as our politics, with even more fake blood. The positions of both sides are best understood in the context of reaction. Carnivores ­unsurprisingly dislike vegetarian ­finger-wagging and want to enjoy their suppers in peace. Animal-­welfare advocates, for their part, see such an acute ethical crisis that they are willing to try anything to reduce animal suffering. The result is a lopsided draw: Meat consumption is up, yet so is veganism. Rather than reaching common ground, both sides have retreated to their corners, angrily peering around the referee for someone to slug. Into this overheated grudge match steps a voice of reason: a retired ­college professor with a fondness for animal videos on YouTube and a child’s sense of wonder about the natural world. Barbara J. King taught anthropology at the College of William & Mary for 28 years, focusing on primate behavior. In “Personalities on the Plate,” she popularizes a fairly new term: She is a “reducetarian.” Rather than prescribing a vegetarian lifestyle, she urges her readers simply to eat less meat and fewer animal products. And, incidentally, more bugs. Ms. King explains that sentience is the ability to feel sensations like pleasure and pain. But many seemingly simple animals display far more than sentience: They have intelligence. The octopus, for instance, features in the cuisines of Greece, Spain, Italy and Japan. Yet octopuses—“hands down, the most intelligent invertebrates on the planet”—are strategic problem solvers and tool users that carry around coconut shells for later use in building shelters. They engage in social signaling, and females protect their eggs with vigilance. In captivity, octopuses demonstrate preference and even personality. Ms. King ­recounts the story of an octopus at the New England Aquarium that, for unknown reasons, took a dislike to a certain volunteer, shooting her, and only her, with jets of water. After leaving for college, the volunteer ­returned after several months and got the same treatment. The octopus not only could distinguish between ­humans and form preferences about them; it could hold a grudge. 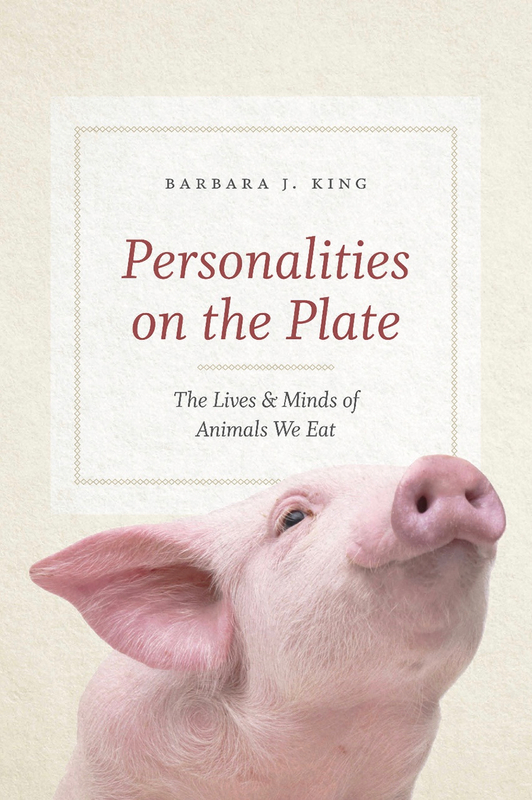 Much of “Personalities on the Plate” reads like a fascinating zoological primer, exploring the social and emotional intelligence of animals. The purpose of this material is not to urge against eating all of the animals ­under discussion. Indeed, Ms. King concludes her book by asserting that insects—which are widely eaten in some parts of the world and catching on in others—are fair game. “My interpretation of the evidence is that there’s a qualitative gulf in intelligence and sentience between insects and the other animals I consider.” Acknowledging animal sentience means confronting gratuitous disregard for animal suffering. Take the Korean fad to eat live octopus as a sort of gonzo cuisine or the possibility of octopus farming to keep up with culinary demand. After learning more about these remarkable animals, it is hard to see either practice being worth its ethical costs. Several scenes from the book illustrate the PTSD-like symptoms of ­animals that found their way from industrial farms to sanctuaries. The pig described above had to be quarantined from other animals for psychological as well as medical reasons. A chimpanzee whose mother was killed by African poachers for bushmeat later refused food and water, rocking back and forth and staring blankly. Similarly affecting are Ms. King’s observations of grieving animals, like a mother goat standing in place watching the road down which a truck had just taken away her two kids, or the sanctuary cow that showed signs of grief after a beloved companion died. It is not anthropomorphism, Ms. King convincingly argues, to describe ­animals’ emotional experiences with accuracy and precision. “The animals we have met in these pages,” Ms. King writes, “demonstrate decisively that, to varying degrees, they think their way through their days and experience feelings about what they make happen and what happens to them.” We, of course, determine what happens to most animals. Readers will finish the book and resolve to go forward—eating meat, abstaining from it, or consuming less of it—in a more purposeful way. The animal-welfare debate needs more thoughtful, informative and level-headed discussion—not least because it makes for effective advocacy. ­“Personalities on the Plate” is a good place to start.